Homemade mineral broth has more body and is more nutrient-dense than traditional store-bought vegetable broths because of the addition of some or all of the following Booster Foods: kombu, nutritional yeast, flaxseeds, and miso. 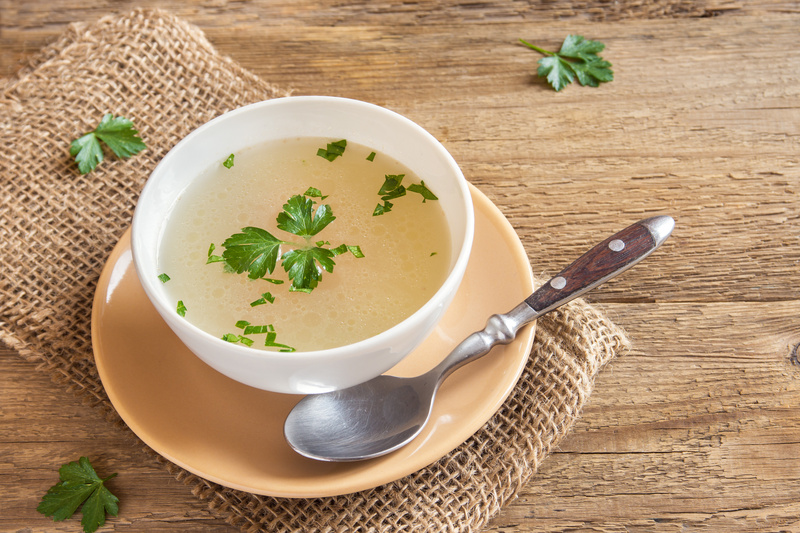 Make your own Mineral Broth at home with this recipe from Holistic Nutrition and Culinary Arts school Bauman College. It’s great to use as a base in soups or to cook your whole grains – or to drink by itself when you’re doing a cleanse. Chop the vegetables into large 3-inch pieces, leaving the skins on. Put the squash and/or yams into a large pot until they fill the pot about halfway. Add the onion and green beans another quarter of the way up the pot. Add the leafy vegetables, herbs, mushrooms, and kombu. Cover with water by 2 inches. Simmer for 2-4 hours, depending on how much time you have available. Remove from the heat. Strain, allow to cool and refrigerate. Optional: If drinking as a plain broth and not using in a soup recipe, add the optional flaxseeds and simmer for up to one additional hour before straining.